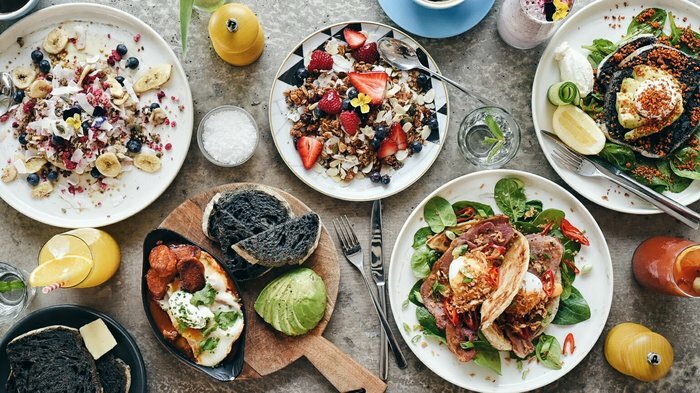 Bringing the relaxed Australian food and culture to London, the Daisy Green Collection has seven restaurants across London and all of them serve bottomless brunch every day of the week, making them the perfect place to get your boozy Good Friday fix. For £39.50, diners can choose one savoury dish and one sweet dish to be enjoyed with bottomless prosecco or mimosas for 100 minutes. Savoury options range from healthy dishes like smashed avocado on toast and sweetcorn and spring green fritters to more indulgent plates such as smoked salmon royale and an Aussie cooked breakfast. Sweet dishes include buttermilk blueberry pancakes, unicorn waffles and a banana bread sandwich. For bottomless brunch with a side of live music, head to The Piano Works. Both the West End and Farringdon branches are hosting a Bottomless Aperol Spritz Brunch on a number of bank holidays throughout the year, starting with Easter Sunday on 21st April. For £50, guests can enjoy two courses of brunch classics washed down with bottomless Aperol Spritz, Bloody Mary's, Italian pink sparkling wine, prosecco or mocktails. Dishes include eggs Florentine, Royale and Benedict, pancakes, and waffles. For those who want to keep things lighter on the food front, there is the brunch box, which offers a breakfast wrap with crinkle cut fries and bottomless drinks for £35. As London's only non-stop live audience requested venues, the brunch will also provide the chance to dance away to your favourite tracks performed by a live band or DJ. 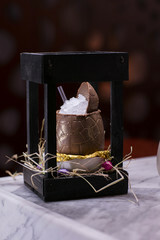 Swanky Mayfair restaurant Quaglino's is joining in on the Easter partying with its Good Friday Brunch Party - the perfect way to kick off a long four-day weekend in London. Running from 11.30am to 2.30pm, the brunch offers two courses for £30 or three courses for £35 with free-flowing prosecco for an additional £23. 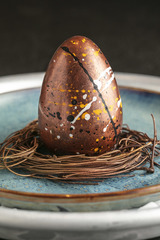 The menu features all the traditional egg dishes along with lobster thermidor, buttermilk pancakes, wild mushroom and truffle risotto, croque monsieur and the Quaglino's brunch burger while puddings include treacle tart with clotted cream, white chocolate and lemon creme brulee, and panna cotta with hazelnut ice cream. DJ Dom Booth will provide the tunes with Stefano playing live on the sax. Billed as 'London's ultimate brunch destination', Bad Egg serves brunch on Saturday and Sunday and 'frunch' on Fridays, both of which have the option to go bottomless. The weekend brunch provides the chance to sip on endless Bloody Mary's, prosecco and mimosas while tucking into two brunch dishes, with options include guac and black bean tacos, pork belly and slaw, cheeseburger hash, eggs benedict, and sausage and egg muffin. There's also pancakes and French toast available with jam and vanilla cream, bacon and maple syrup or fried chicken, banana and maple syrup. The Friday option serves up frozen slushies, prosecco, mimosas and Corona along with food options like chicken wings, nachos, a fried chicken burger, harissa hash and a Buffalo ribwich. Nordic-French restaurant Aster will be putting on a number of celebrations for Easter this year, including bottomless brunch from Good Friday through to Easter Monday. An Aster Egg sharing cocktail will also be available and the all-day deli will transform into a sugary haven with a selection of pic 'n' mix for kids and grown-ups alike. The main event, however, is the Pink Brunch in partnership with Moet & Chandon, taking place on Easter Sunday. With live soul music and free-flowing Moet & Chandon champagne, it will be the ultimate bottomless brunch experience. Diners will be able to tuck into dishes such as grilled leeks with poached egg, mustard hollandaise and toasted oats; slow roast leg of lamb, served with a Yorkshire pudding, crispy roast potatoes and Chantenay carrots; and vibrant beetroot gnocchi with Ragstone goats cheese, watercress and confit pecans. Serving brunch every day of the Easter weekend, Bluebird White City provides four chances to indulge in the best meal of the day. The celebrations will commence with a Pink Good Friday Brunch, serving a two and three course menu alongside free-flowing Moet & Chandon Imperial Rose Champagne. Food options include avocado on cornbread with poached eggs, toasted granola with vanilla yoghurt and raspberries, and toasted crumpets with honey and peanut butter. For something a little heartier, there's also the Bluebird hamburger and a new hybrid dish: the hot cross bun French toast. Classic brunch with bottomless prosecco or red wine will be available Friday to Monday and on Sunday 21st there will be an Easter egg hunt for the little ones. With Foxlow Balham offering bottomless lunch and brunch throughout the year, it's a fantastic choice for Easter indulgence. On Good Friday, diners can pick from the lunch menu, tucking into dishes such as flat iron steak, a dry-aged beef burger, and house-cured Scottish salmon along with traditional brunch options such as fried chicken, egg and croissant waffle, steak and eggs, and avocado on toast. On Saturday and Easter Sunday, there is a full brunch menu available with choices such as a full English, devilled mushrooms on toast, egg and bacon poutine, and fruit waffle with apple compote. Heartier dishes include the brunch burger, chicken burger and fries, and ribeye or sirloin steak. Both the brunch and lunch menus provide the chance to go bottomless for an hour and a half before 4pm with the choice of Bloody Mary's, bubbles or filter coffee. Days available: Good Friday, Saturday and Easter Monday. Bottomless roast on Easter Sunday. Both branches of Flesh and Buns - Covent Garden and Fitzrovia - will be serving bottomless brunch for the entire Easter weekend in 2019. At Fiztrovia, there will be a £25 menu with a choice of popcorn or chilli edamame to start, one flesh and buns, and one dessert. At Covent Garden, a £39 menu will start with chips & dips and edamame to share, a large selection of small dishes, a range of flesh and buns, and donuts and sobacha crÃ¨me brulee for dessert. At both restaurants diners will be able to add bottomless red, white and prosecco for an additional £15.